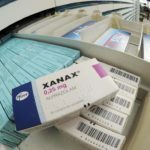 Prescriptions for such drugs, which include brand names Valium, Ativan and Xanax, tripled from 1996 to 2013, but this doesn’t fully account for the uptick in overdoses, which quadrupled during that time period. For starters, they found that the number of U.S. prescriptions for the drugs rose from 4.1 percent in 1996 to 5.6 percent in 2013 — a 37 percent increase. A 2012 study found that among adults over 65, those who used benzodiazepines were 50 percent more likely to develop dementia over a 15-year period.14 This was true even when taking into account other factors that might increase dementia risk, such as age and diabetes. Both anxiety and sleep troubles are serious issues that need attention. Unfortunately, most people who suffer from these conditions either do nothing or resort to pharmaceutical drugs — many of which are ineffective and capable of destroying your health and sanity further. In fact, it’s estimated that only one-third of people with anxiety disorders receive treatment,18 but keep in mind that “treatment” does not have to equal “drugs.” You have nothing to lose, and everything to gain, by applying lifestyle modifications before trying medication. You may be surprised by how much such changes lessen anxiety and improve your ability to sleep soundly, naturally. EFT can be very effective by helping you to actually reprogram your body’s reactions to the unavoidable stressors of everyday life. This includes both real and imagined stressors, which can be significant sources of anxiety. In the following video, EFT therapist Julie Schiffman discusses EFT for stress and anxiety relief. Please keep in mind that while anyone can learn to do EFT at home, self-treatment for serious issues like persistent anxiety is dangerous and NOT recommended, and you should consult with an EFT professional to get the relief you need.